on Neia's forum) as of the last patch, EA removed the "ideal mood" for rabbit hole careers. Educators are amazing! I think of facing a room full middle school kids and my knees get weak. Also, there are so many paths and choices you can make in the education field. And all of them are equally important and interesting. I wanted to kind of dig into what kinds of things Educators do (and I kind of miss the Sims having a teacher career). I hope you have a teacher in your game who will enjoy it. Most of the paths have 5 levels. Academia has 7, taking you all the way up to university President. The idea is that your Sim will probably be an Elder by that time, which seems fitting. Also, that's where the big Simoleons are. Pay levels are more EA than realistic for a teacher. Educators are sadly underpaid. I wanted to give your Sims a break and pay them what Educators DESERVE. Play with life, right? Lastly, during most of the school and Academia levels you earn a ridiculous amount of PTO. Like, a day per day. Rack it up and take summers off like a real teacher (well, except your Sims will get paid, so BONUS!). Teaching is one of the most challenging careers a person can pursue. Expect to work long hours in what can be a highly stressful environment. However, educators can make positive impacts that may last for their students’ lifetimes. Great teachers do it all. Across all ages, languages, ethnicities, and subjects, teachers are some of the most widely skilled people around. Are you patient, calm, and detail-oriented, with an ability to clearly communicate information? Education may be the field for you. Welcome to your first teaching job. At the most basic level, a teacher is expected to be a fount of knowledge: an expert in their field with a thorough understanding of the subjects they instruct. School is the place where much of a student’s future is determined, and it is teachers who play a large role in a students' direction. Stay sharp and keep their interest. Remember, your role is not only to teach, but to inspire and empower! You’re developing professionally. Why should you keep your wealth of knowledge to yourself? You’re already a leader in your school, sharing knowledge and skills with others; mentoring new teachers; and developing strong relationships with parents, families, and stakeholders in the community. Now as a certified Master Teacher, you also serve on the district school board and help define the most effective use of district resources. Staff attrition costs districts billions of dollars, contributes to low teacher morale and disrupts student learning. To combat this problem, many school districts use mentoring programs to support new teachers. A common element of these programs is assigned mentors, who guide new teachers' professional learning. Hey! That’s you! Congrats! A curriculum specialist works on developing and improving curricula and assessing the effectiveness of curricula and instruction. Sounds fancy right? With your invaluable experience teaching in the classroom this was a natural fit for you. You also advance staff development, conduct research on trends in curriculum and make recommendations to the administration. As rewarding as a career in education can be, classroom teaching is not always the final destination for many educators. You love teaching. But can’t help feeling you could be more… impactful. Maybe traditional classroom teaching isn't for you? There are plenty of roles in education that would benefit from your experience and skills. Time to go back to school and expand your options a bit, and with the grants you landed, you can study full time! Did you thrive in leadership roles at your school? Crave the opportunity to grow beyond your classroom? Your path as an educator may expand into positions where you oversee everything from the budget to the performance of the entire teaching staff. If you like the idea of creating standards around education and cultivating leadership in others, school leadership sounds like the career for you! Well done! You’re an advocate for students in all areas, including academic achievement, social development, preparation for college and future careers. Sure, sometimes they drive you crazy with their wild ideas, or break your heart when they don’t reach their full potential, but you love rolling up your sleeves and getting in the mix for the betterment of every student you can reach! Helping students can be exhausting, but so worth it. In fact, you love serving students so much you’ve widened your net of positive influence to the entire school! Through observation of classroom practices, you provide evidence-based guidance to help fellow teachers achieve improvement in certain areas. You’re seeing the growth your help provides and can’t help but wonder how you can affect further change. Why stop with teachers? As Dean of Students you work with counselors, nurses, parents, and the principal on behalf of student interest while helping to create a positive school climate. You juggle issues such as discipline, the ordering of textbooks and working with outside agencies to provide extra resources, and guiding staff training to further develop strategies for supporting student success. Time to prove you have the skills to run this place! You work long hours, arriving well before school opens and even staying into the night if you need to. Now you, report directly to the principal and assist in realizing a shared vision for success. Additionally, assistant principals work with other administrators to provide a unified vision on school policy and philosophy. Look out Joe Lewis Clark! As Principal (at last), YOU are responsible for establishing a schoolwide vision of commitment to high standards and the success of all students. You have the chance to set your own academic vision, supervise staff to reach it and build a culture… your way! They may never make a movie about you, but you’ve touched and molded a LOT of lives in your career and that’s what it’s all about. Hey!... On the other hand, maybe they will at that! The skills you learned as a teacher have prepared you to develop products and services for teachers and schools. What’s more, you have a keen understanding from your experience of what materials and services and would be helpful to classrooms. Love to write, coach… never seen a societal issue you didn’t want to join or advance? Education Products and Services may be your calling! You love the materials produced by a little textbook company called Sim Scholastic and think others will love them too. Also… what the what? Sales people can make Simoleans hand over fist. It might be nice to be paid what you’re worth for a change. You could take the persuasive skills necessary in teaching and apply them to any sales job. And after facing down a room full of middle school student without a pause, you can be very persuasive indeed. Your skills of persuasion have not gone unnoticed. Especially when backed with your ability for strategic planning (thank you, curriculum development experience), finding the resources you need when you need them (thank you, limited school resource experience) and communication of results (thank you, school planning meetings). You’re now the Account Manager for the entire Windenburg region. Look at you moving up in the world! Sales are up, but Sim Scholastic is still struggling. Time to use your analytical skills and problem-solving capabilities to tackle and make sense of some hard company problems. If you want to increase sales productivity as well as reduce sales barriers and low revenue levels. You have a lot of numbers to crunch. Sales figures, market research, logistics, and transportation costs are your business now. Time to turn things around at Sim Scholastic! Well… the problem was easy to find. The “big 5” textbook companies have been squeezing little locals like Sim Scholastic out for years, and the shift to digital media isn’t helping. Something needs to be done. You see a societal issue that needs attention and want to help create that change. Your lobbying prompts many facility organizations to incorporate open access materials in their courses, and you find even more source to provide stipends for Sim Scholastic to produce them! Education should be for every student. Not just the ones who can afford textbooks. Partnering with Sim Scholastic you form a foundation to provide free educational digital media to for free to students most in need. Digi-Ed produces solutions and products in conjunction with Sim Scholastic to address that unmet need and finds the resources to distribute them… for free. You entered this career to make a difference. Now you do that on a national scale. Advocacy encompasses a wide range of activities that influence decision makers. Further your commitment to education by sharing what you know with new audiences. Advocating for teacher issues and pursuing policy positions involves relationship building, networking and strong leadership skills. You can lead a classroom, but can you lead teachers in demanding the help and resources they desperately need? Your extensive education experience and dynamic personality made you a natural fit for the Sim Federation of Teachers (SFT). Your local branch works hard to address teacher complaints, negotiate contracts, and serve as a liaison between the Willow Creek School District and the union. Teacher rights are being upheld and pay is on the rise. That’s naturally trickles down to happier more dedicated teachers. Isn’t it great when that happens? You’re passionate about the needs of educators and students (and pretty tired of arguing all the time) so the move to the Center for Sim Student Chance (CSSC) seems natural. As Policy Staff you conduct policy and legislative research in support of CSSC and partner initiatives to impact state and local education policies. It’s a lot of work, but creating meaningful change usually is. The CSSC is impacting the decisions made by governments and legislatures. As Director of public policy, you deal with this aspect of operations. You help the board form a strategy for how it will attempt to influence and participate in making or blocking regulations and laws, and then work to implement these endeavors. Sometimes though, you can’t help missing being in the field on the front lines of change. Your contacts at CSSC have proved invaluable, but you’ve struck out on your own as a Lobbyist. Working within the realm of public relations, you confer with elected officials and attempt to persuade them to either pass, reject, or amend legislation in which the CSSC has a vested interest. You frequently coordinate your work with other lobbyists to achieve a desired outcome on legislation. The work is thrilling but there is so much more to be done! Your policies have made a difference and now it’s time to use those policies to make the system better. You’ve founded the Nationwide Board of Teaching Standards (NBTS). Your team is committed to advancing better teaching and the NBPTS is the gold standard in teaching certification. Higher standards for teachers means better learning for students and your national voluntary system certifies teachers to meet those standards. Well done! If you decide to pursue education to the level of academia you will influence students at the collegiate level. On a given day, you might have to write a reference for a student; develop teaching materials; read and comment on a PhD dissertation; review a journal article and organize a workshop. Choose Academia and a professional life surrounded by brilliant colleagues, teaching stimulating advanced courses could be yours. Further your studies by obtaining a PhD. Academics tend to need those. You may also be responsible for data gathering and other projects that can take you away for weeks at a time. Prepare to spend your time pounding your head against your dissertation while crying over subject weighting. There’s a long road ahead of you, but at least you have enough grant money to do it full-time. So, silver lining, right? Right? As an AP, you only teach lower division undergraduate courses (freshman & sophomore level). In general, research and service are not a requirement for you, but you teach a larger load than professors. And as an Associate Professor, you have yearly appointments with no chance of tenure. It’s a grind but you’re one of the lucky ones. Brindleton Bay U. has a strong tenure career path. Also, you love writing in your spare time and aren’t having too much trouble getting published. You’re on your way! Ah, the fabled land of tenure. Miss a day. Your roll is secure (well unless the board revokes your tenure). And let’s face it. You love the work too much. BBU is very favorable to innovation, to re-examining how things are done, to creativity and the receptiveness to new initiatives. You get to make a difference, to change things. The research is exciting, the students are as enthusiastic as the staff and your published works supplement your income nicely. Is this paradise? 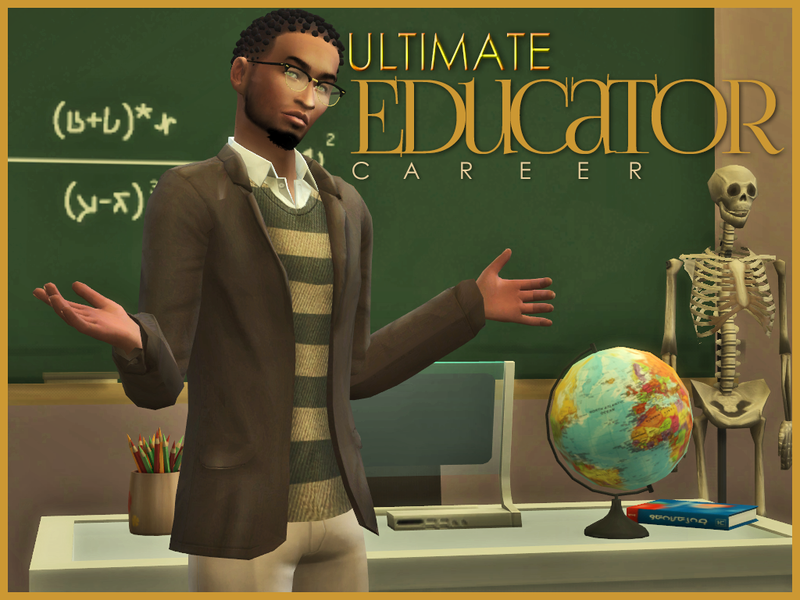 As Department Chair, you work to implement the vision of Brindleton Bay University by shaping the department's curriculum and goals. You supervise professors, instructors, and assistants and manage the department's finances, working with instructors to get necessary materials within a reasonable budget. So, basically, you’re a Professor AND a boss. The role of a dean has been characterized as "dove, dragon, and diplomat." As Academic Dean, you start academic programs and hire faculty. A dean is often in the unfortunate position of being no longer truly a professor but not completely an administrator, either (like the provost or president). But, you’re passionate about developing a better model of a school of education and keeping BBU great! Provosts are known as the senior academic administrators in many colleges and universities. As Provost, you’re often in charge of overseeing the planning and development of educational programs provided by the BBU and ensuring that academic integrity is upheld by providing leadership, guidance, and advocacy for student affairs. You report directly to the University President and… hmmmm. As University President, your overarching mission is to provide the university with long-range strategic vision. You oversee 50,000 students, 4,000 faculty, and 28,000 employees. You have used your office to push forward initiatives for BBU, such as expanding online courses, hiring more faculty, and increasing the efficiency of the university. Fundraising is a big part of your job too, and you frequently meet with lawmakers, businesses, and other leaders who can make a positive impact on the school. Congratulations President. You are a leader for the Brindleton Bay University- both on campus and off. I did not in ANY way base this on any other career. Thank you so much in advance if you decide to try Ultimate Educator. I hope you enjoys shaping and molding young minds!